Blissfully devoid of jargon or academic cant, Auvo Kostiainen’s collection Finns in the United States: A History of Settlement, Dissent and Immigration offers a rich, inspiring account of an entire cultural enclave, from the largely Finnish population of “Swedes” who founded a 17th century colony in Delaware, through to the 600,000 modern Americans who claim Finnish ancestry. How much is left of their Finnishness after multiple generations of transformation and miscegenation? What would they make of their genetic homeland, if they ever went there, and what would a modern-day Finn make of them? 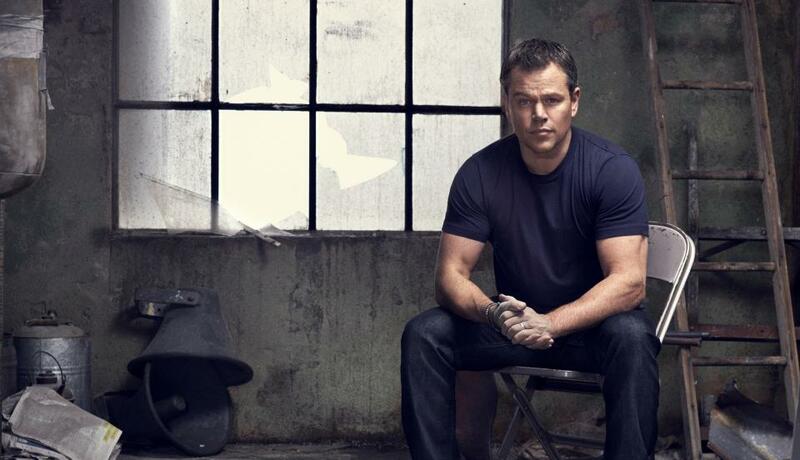 One look at the Finnfest 2017 programme makes it clear that Americans of Finnish descent (a group that includes Matt Damon and Christine Lahti) are proud of their heritage. Should you be in the Minneapolis area this September, you’ll get the heavy metal cellists Apocalyptica, a barrel of quintessentially Finnish pea soup, a symposium on saunas, a Finnish-language play, lectures on ecology and forestry, an appearance by Santa Claus and even Finnish author Sofi Oksanen. Kostiainen’s book, however, offers detailed accounts of the many paths and roads-less-travelled that led to the existence of such an event – the struggling miners and loggers of the late 19th and early 20th century; the migrants who actually gave up on the US and returned home as failures; the deported criminals and lauded local heroes. I thought I knew my way around books about Finns, but the references to be found here have quadrupled my personal reading list. In a controversial court case in 1908, Finns were accused of being “Mongolian”, and hence subject to anti-Asiatic immigration restrictions. They were, grudgingly, eventually granted status as whites, but in a confusion that co-opted socialist movements of the early twentieth century and mixed it with anti-Native American prejudices, were often still reviled as “Red Finns”. The term, of course, strictly applied to those who had fled the Finnish civil war, where Mannerheim and the victorious White Finns had pushed would-be Soviets out of the country. Many such revolutionaries ended up among the mining towns of Minnesota and Michigan, where the red dust from the copper added yet another nuance. Finns became instrumental in the temperance, cooperative and labour movements of the Depression era, but also saw their identity eroded after 1924, when quotas suddenly shut down substantial migration. Until 1924, Finnish-speaking culture, particularly in the Great Lakes region, was kept alive by a constant stream of new arrivals from the Old Country. 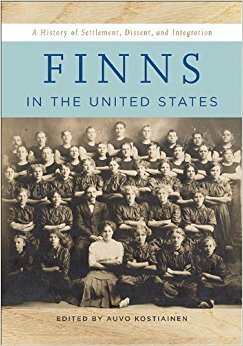 Second generation American Finns kept up their language skills by working as waitresses in Finnish-speaking canteens, or alongside newly arrived miners from Europe. The golden rule of cultural assimilation, that it’s the third generation that loses the former mother tongue, was postponed and kited for decades, fed by local Finnish-language newspapers and amateur dramatic societies, and a local publishing niche that clung quaintly to old-world vocabulary. The poet Kalle Koski wrote in 1894 about the dangers of racial mixing, conjuring the image of a Finnish girl who falls for a wieras airis, a beautifully archaic clash of old-world spelling and migrant slang – “a foreign Irish.” Such cross-cultural romances bred entirely new and alien phenomena, such as Finnish Catholics, a virtual impossibility back in Europe, where the Reformation had seen Catholicism hounded from the country centuries earlier. Six thousand American Finns returned to Europe in the 1930s, lured to Soviet Karelia by promises of a socialist utopia. Finns in America struggled to brand themselves as Good Americans, assimilating swiftly into the local population, with only traces of their old culture remaining – Laestadian splinter groups, an obsession with log cabins… a few names or twangs in regional accents. In the 1950s, Finns fighting the cultural dominance of St Patrick’s Day concocted St Urho’s Day, a rival celebration purportedly marking the banishment of a plague of grasshoppers from Finland’s entirely fictional vineyards. The grim, joyless image it evokes, of scowling matrons pointedly sipping grape juice while beered-up young drunks threaten to stab each other at a sausage barbecue, is a fitting coda to Kostiainen’s superb study, which embraces not only the echoes of both good and bad from the old country, but also their inevitable thinning in a new world. This entry was posted in News and tagged Finland, Finns in the United States by ixarette. Bookmark the permalink.